Teams are almost home! But they must first make it through this 10th Leg which starts right in front of the Pyramid of the Sun. The first clue of the Leg includes a map of this sprawling complex which uses only drawings and no words or coordinates. Teams must use this map to find three different artifacts: a terracotta figurine, a mask and a traditional Aztec calendar stone. Once they have found all three artifacts, they will exchange them with the archaeologist for their next clue. 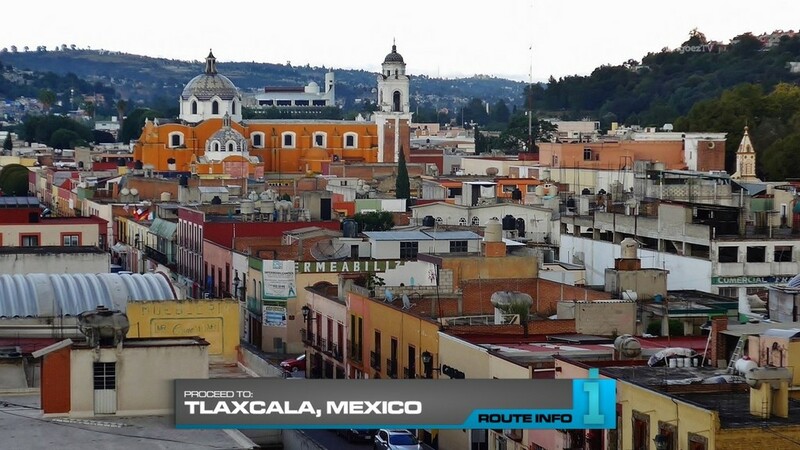 That clue tells teams to travel to the city of Tlaxcala and find the cluebox at the ongoing Tlaxcala Carnaval. That cluebox will reveal a Double Road Block! Face On or Face Off. 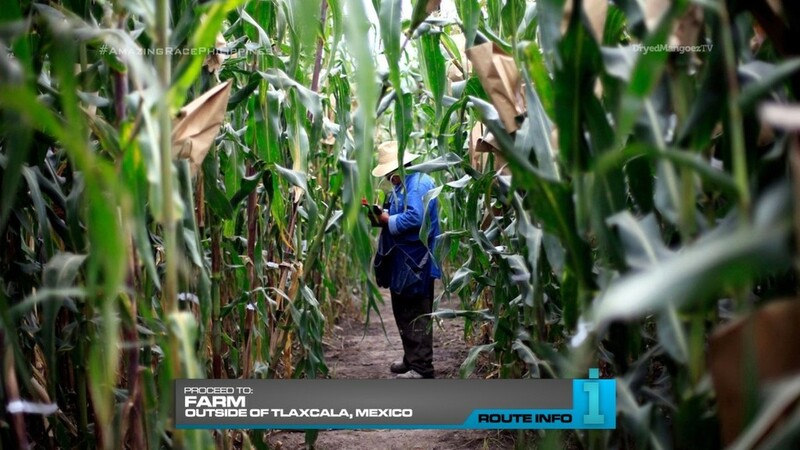 For this Double Road Block, teams will be partying at the annual Tlaxcala Carnaval. The team member with their “Face On” will dress up in a traditional Tlaxcala Viejitos (or old men) costume and join in the parade. 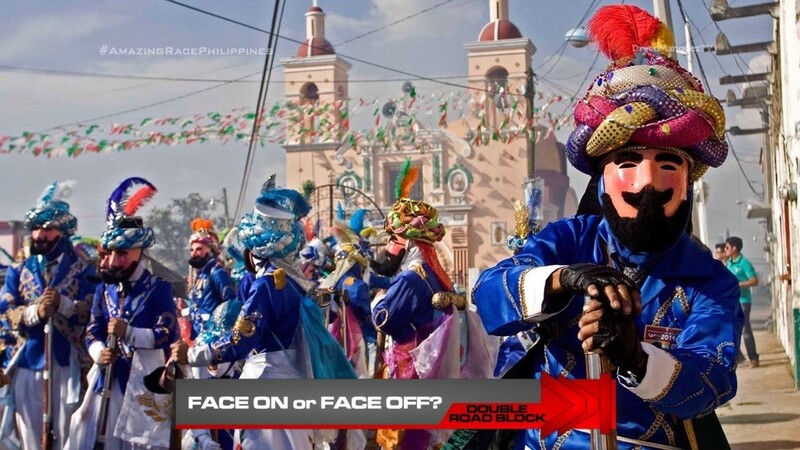 Their team member with their “Face Off” must search through the carnaval and find another participant in the parade with a matching mask, all while making sure to keep an eye on where their teammate is in the sea of people. Once they bring their teammate and the matching participant to the mayor, they will receive their next clue. That clue directs teams to find this farm on outskirts of the city. 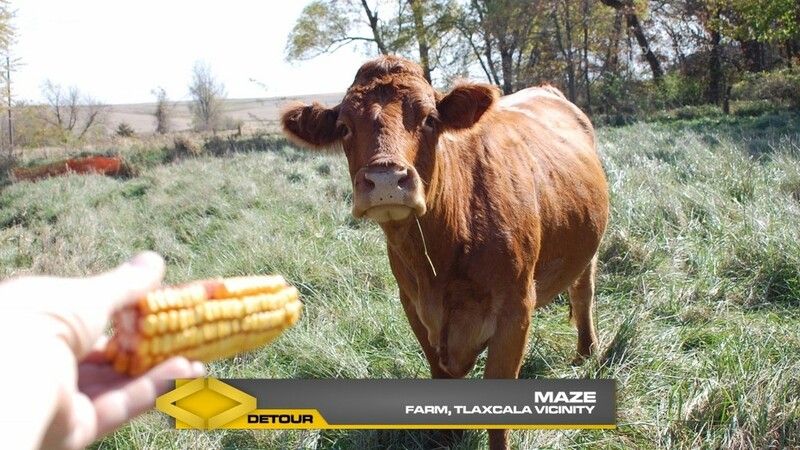 And here, teams will find the Detour: Maize or Maze. 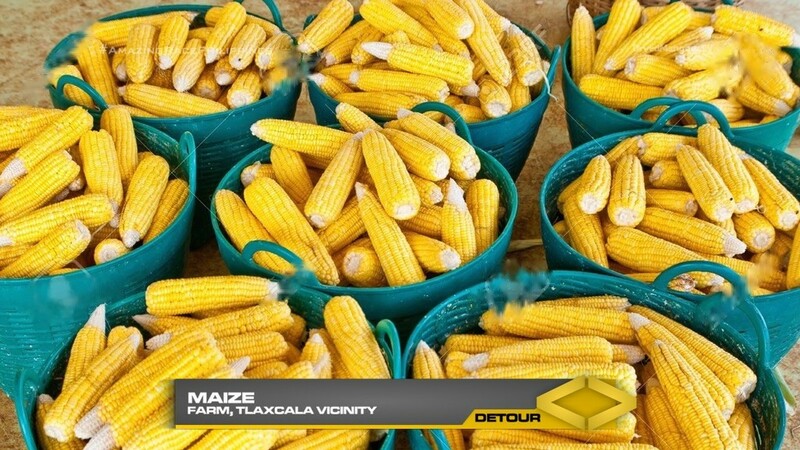 In Maize, teams must harvest enough corn to fill four large baskets. Once they have harvested enough, they will receive their next clue. In Maze, teams must guide four milk cows from their milking stations back to the fields where they graze. They must follow a path through a maze of pens and corn fields. Once the four cows are happily grazing, they will receive their next clue. And that final clue tells teams to find Jorge Aguilar for their Pit Stop. 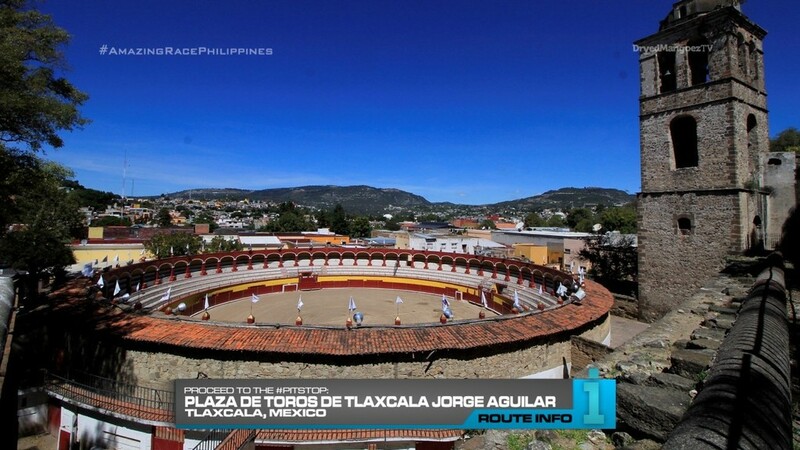 Teams will need to figure out that Jorge Aguilar is the name of a bullring in Tlaxcala. The last team to check-in here WILL be eliminated. I definitely think this Leg might be more exciting than the Mexico City Leg. 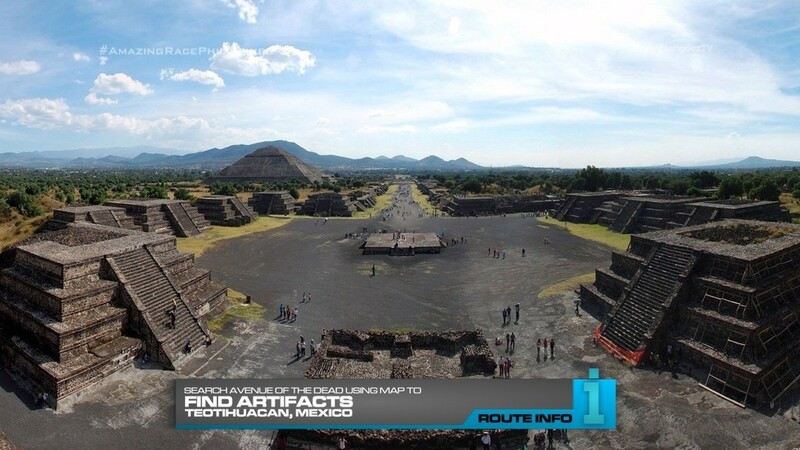 The Teotihuacan task is just the Leg’s extra Route Marker, but also maximizes the teams’ and the show’s time at the iconic landmark. It gets teams running around the place too. That should make this physical while the map will challenge them mentally. 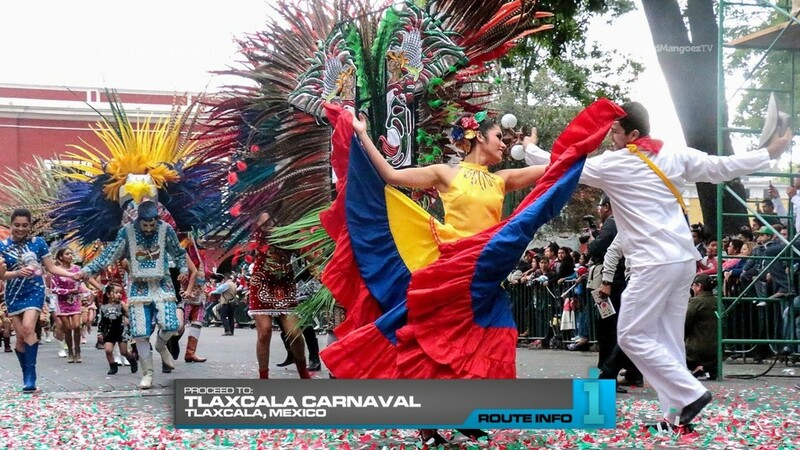 Doing my usual TAR scouting via Google, I found Tlaxcala and read about its great carnaval. This Double Road Block is typical TAR and it should be a very fun task. The twist here is that one of the team members will be wandering around, so it should pose more of a challenge. Overall it should be an interesting, fun Leg.